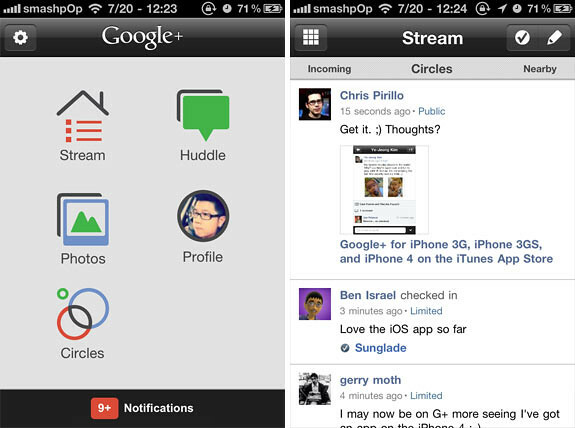 Google+ iPhone App Now Available. We Go Hands-On! 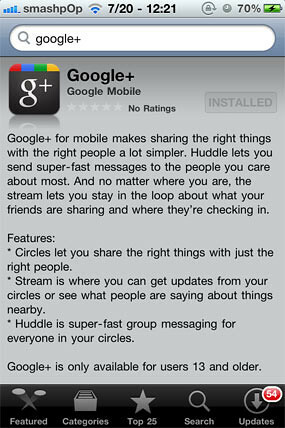 Finally, the long awaited iPhone app for Google+ has been approved and is now available on the AppStore. Let’s see if its any better then the plus.google.com Safari webapp. As we already know, the app lets you interact with your Circles, Stream and Huddle. Upon signing in, it will ask your permission to access your location and to send you push notifications. LEFT: The home screen of the app. RIGHT: You stream. Just like the webapp version. Swipe left will bring you to friends checkins and swipe right to incoming feeds. Tapping on the top right pencil button lets us compose a new message. On the compose screen we can set who to share with, add location and also photos. Huddle = chat. 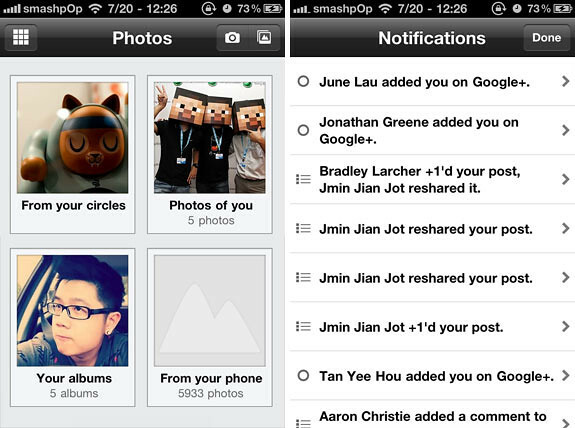 You can chat with a single friend or create a chatroom and chat with your Google+ friends. The photo album lets you pick from the available folders and thats the notifications screen on the right. Overall the app works as advertised, except that it crashed once when I was trying to upload a photo. That’s about it. 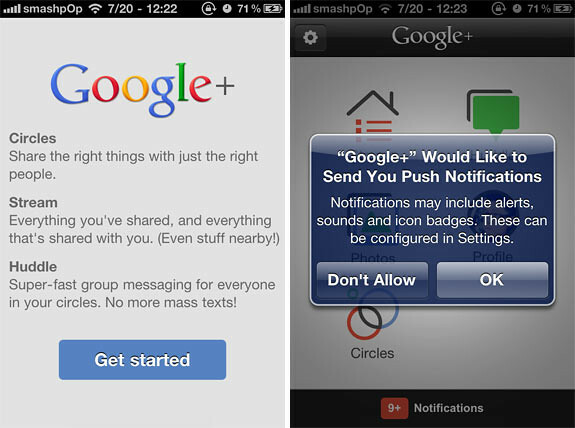 2 Responses to "Google+ iPhone App Now Available. We Go Hands-On!" Still have to wait for a invite. Even if you install the App.